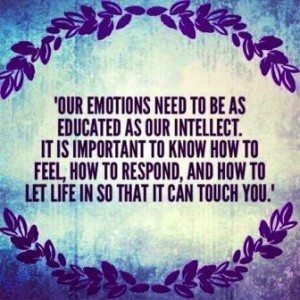 You are here: Home / Emotional Health / Emotions and Feelings: What is the Difference? While it takes around 300 milliseconds for you to become aware of a disturbing event, the amygdalae react to it within 20 milliseconds! Sadly, the knee-jerk responses of these organs cause you to overreact to the world around you. First of all, thoughts, conscious or subconscious, trigger emotions. We could look at emotions in another way as intense thought or e-motion – energy in motion. Consider emotions as psychological and related to the mind. Psychological: a feeling of calmness, happiness or peace. Physiological: A feeling of hunger, thirst or tiredness. People often use the terms emotions and feelings to mean the same. Having feelings often translates into having an emotional experience. This creates confusion. Emotions occur as the brains reaction to an event, internal or external. For example, if you see someone you love your brain releases hormones like dopamine and oxytocin. If for instance, you experience a win which makes you feel good then your brain releases adrenaline and dopamine. On a different note, in situations of fear or stress cortisol floods our brain. We want to protect ourselves and go into responses of fight, flight, freeze (shut down) or agree with someone to appease them. 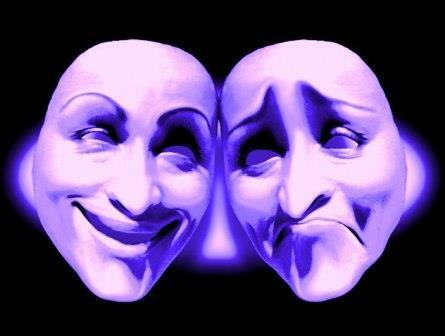 Emotions: In summary, our brain, releases specific hormones which activate specific emotions. Feeling: Next when the hormones hit our blood stream our body and organs react and we feel our heart beating faster or our breathing changes etc. We feel more energy – excitement or less energy – a drain of energy – fatigue. Think of feelings as the awareness of sensations in your body triggered by an emotional event. First an emotion occurs then we feel the emotion through physical sensations in our bodies. Emotions are reactions to outer circumstances. Emotions are not caused by someone else, but by the thoughts you think and judgements you hold true: My partner loves me (good); my partner does not love me (bad). 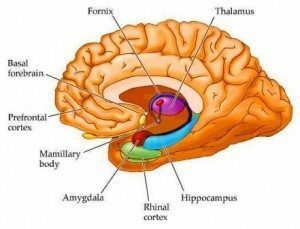 Emotions originate in the part of the brain known as the amygdala or emotional brain. Emotions of anger and fear assisted us, originally at the dawn of humanity, to survive threats of danger. The amygdala responds to internal or external danger signals. These emotional reactions have been coded into our DNA. We no longer have saber tooth tigers chasing us instead we have bosses triggering ancient age anger and fear and our bodies respond in similar patterns of fight or flight. Emotion from Latin “emovere” means to agitate or move. Emotion from Old French “emouvir” refers to stir up. Feelings follow emotions. Feelings result as reactions to emotions based on previous beliefs and experiences like for example: I am worthy of love; I am unworthy of love. Think of feelings as the awareness of sensations in your body triggered by an emotional event. Examples of feeling sensations in the body: Contraction and Expansion, Hot and Cold, Pressure, Lightness and Heaviness, Hardness and Softness, Tingling, Sharp pains, or Numbness. Body sensations may be pleasant, or unpleasant such as the warmth of love or the pain of guilt. Feeling derived from Old English “felan” – to touch or have a sensory experience. Amygdala consist two small almond-shaped masses as part of the limbic system and located in the temporal lobes of the brain. Amygdala also connected with the hypothalamus and the hippocampus. The hypothalamus regulates metabolism etc., the pituitary and is also involved in feeling and perceiving something as rewarding: For example; love as a good and worth obtaining more. The hippocampus attaches memories to the emotions and senses associated with them. For instance: a memory of happiness in nature and link it with the smell of the wild roses.